Thanksgiving is over and the holiday season has officially begun. This means endless parties with friends, holiday work events, and celebrations at school. 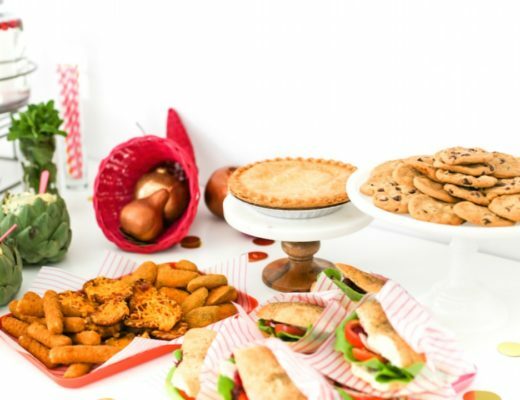 If you’re the hostess with the mostest then you’ll likely be planning some holiday gatherings. Instead of having a sit-down meal, why not serve large pitcher cocktails and great finger foods? It is an easy way to feed a crowd and present a variety of food. To help you get ahead on your party planning, check out these great appetizer and drink recipes for a crowd! Danae from Recipe Runner has the perfect bite sized food on a stick! Her delicious turkey meatballs are packed with flavor and finished with a seasonal glaze of bourbon, apple cider, soy sauce, ginger, and cinnamon. Served on a stick, these will be a tasty bite for your guests to enjoy! For a crunchy, green, and gluten free bite, Sarah from Snixy Kitchen has you covered! Spreading luscious goat cheese on top of crunchy gluten free crackers and topping them off with her delicious green goddess pesto, this healthy bite is one you can feel great about serving to your guests! Is it even a party if there aren’t mini tarts? Sarah from The Charming Detroiter has an easy and seasonal appetizer recipe that will surely wow your guests. 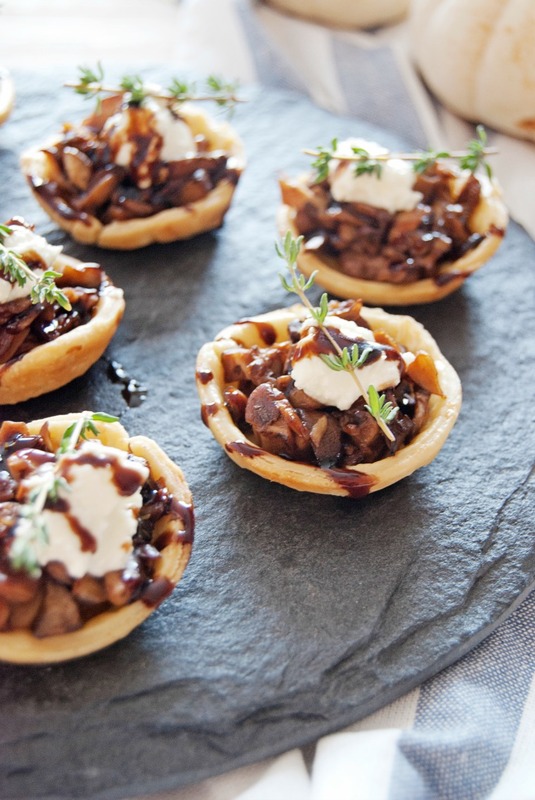 Her tarts are filled with flavor packed mushrooms, goat cheese, and a balsamic glaze. Yum! If there is no squash present, it doesn’t feel like a seasonal party, right? Izzy of She Likes Food thinks so. For a seasonal bite to be enjoyed by adults and kids alike, Izzy has shared a delicious and healthier version of tater tots made with spaghetti squash and potatoes. 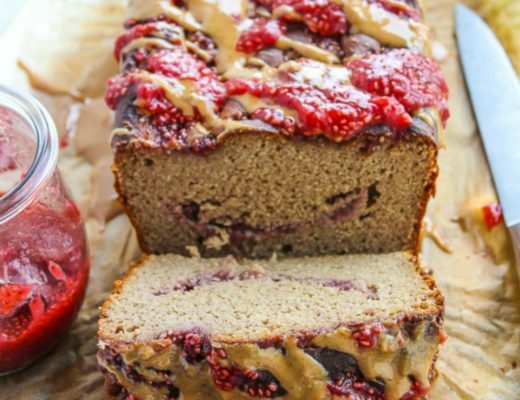 Served up with a sweet mustard dip, the crowd will go wild over these! Make extra! Every party needs a good dip, but why not mix it up with a seasonal twist? Maria and Josh from Two Peas and Their Pod share their delicious twist on the classic party dip- hummus! Adding sweet potato to the mix gives this great dip a seasonal spin and it goes great with veggies and a variety of crackers! Jessica from How Sweet Eats has made the perfectly spiced pitcher drink. 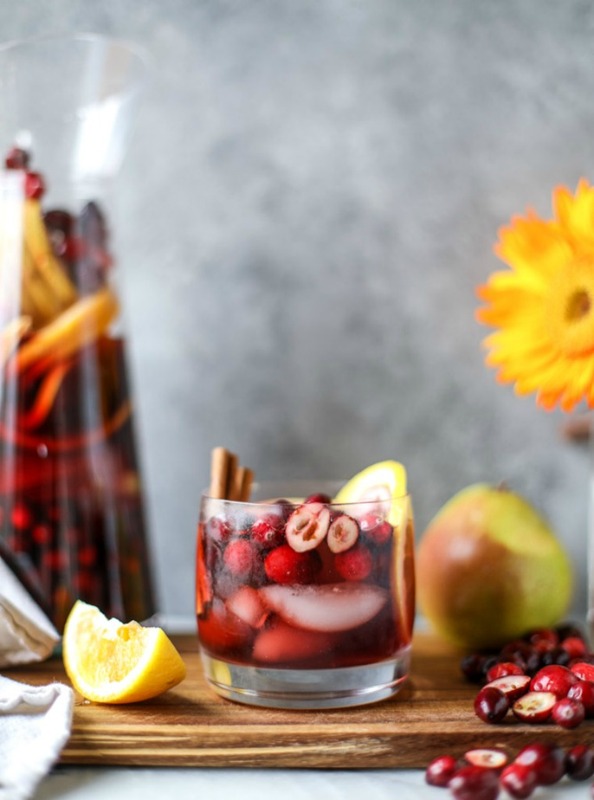 Her sangria is filled with ginger brandy, pinot noir, cranberry juice and chai tea to make a well-balanced sweet and spiced drink. But be careful- guests will finish this quick! If throwing brunch parties for the holidays are your jam (can you say french toast casserole!?) then having pitchers of mimosas are key. Katerina of Diethood has a simple recipe to make big batches of mimosas. 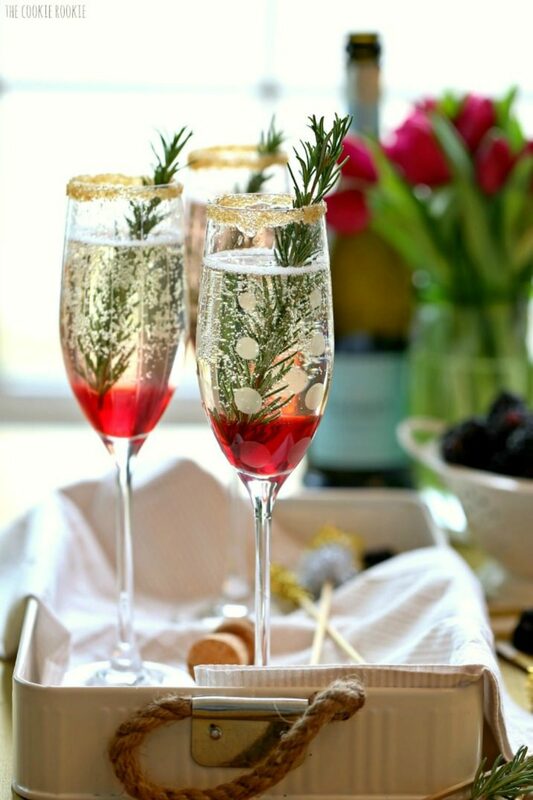 Her classic recipe is filled with citrus fruits, cranberry juice, and of course prosecco. Note: make more than one pitcher! Sangria is a great drink for a crowd and Maya from Treats and Eats has put her seasonal spin on the drink. Combining brandy, sparkling wine, apple cider, apples, and pomegranates, this recipe elicits all the lovely fall and winter flavors! Judy from I’m Bored Let’s Go has shared a great idea for a cocktail for a crowd. Using a spiced pomegranate juice mixed with vodka and orange juice, this easy to make drink tastes amazing. 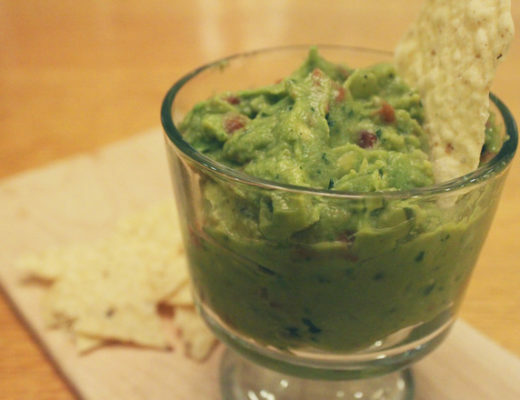 Try this recipe out for your next party! Need more inspiration? Check out our Food on Sticks and Drinks Pinterest boards!